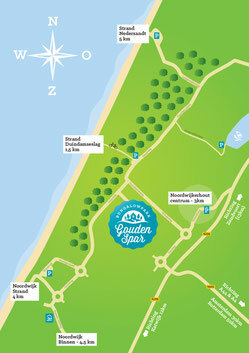 Our bungalowpark, is situated just behind the dunes, close to Noordwijk. 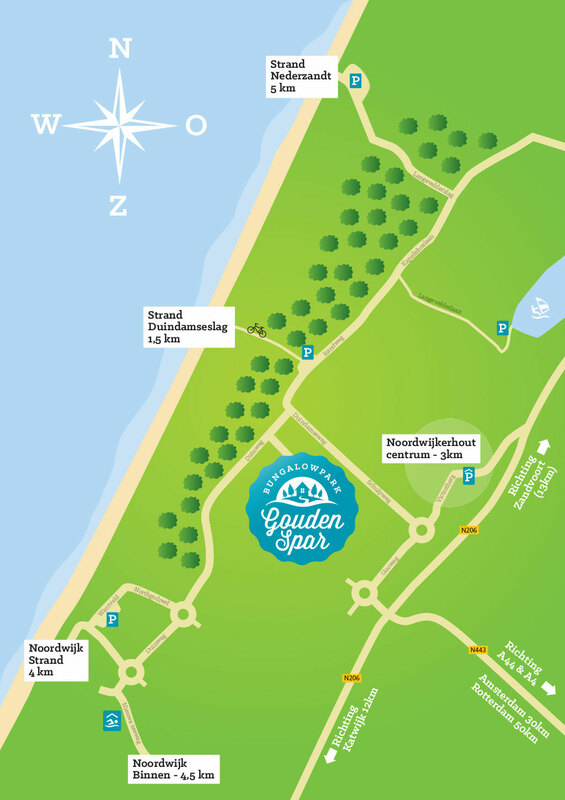 Take a walk through the dunes and in about 15 minutes you will reach one of the beautiful sandy beaches in the area. In these lovely surroundings you will also find various hiking and cycling tracks which will suit all fitness levels. Our bungalowpark is peaceful and therefore also an ideal place for children. Cars are parked in our central cark park and our bungalows are detached which guarantees your privacy and further enhances the opportunity to enjoy your holidays. 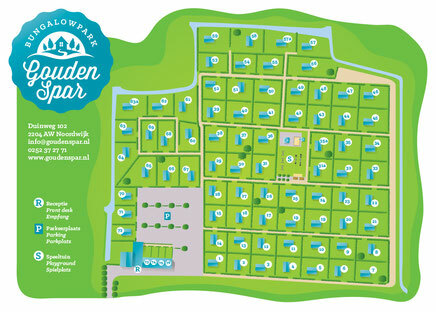 Our bungalowpark is just behind the dunes and is surrounded bij trees. 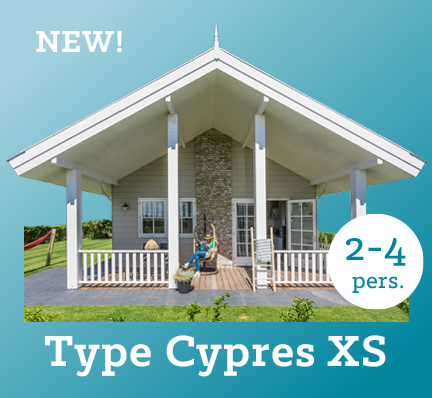 A bungalow for each occasion! 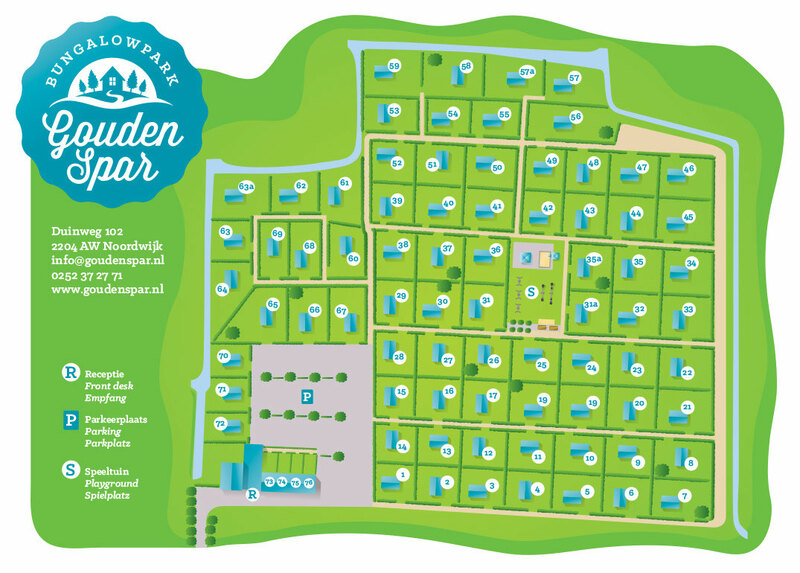 Bungalowpark Gouden Spar offers spacious, detached bungalows with various opportunities for between 4 - 10 persons. 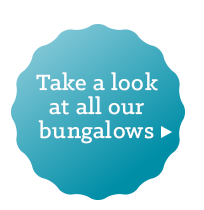 Each bungalow has a spacious garden with terrace and a fully equipped modern kitchen. A number of bungalows have everything located on the ground floor which is ideal for people in wheelchairs. In some of our bungalows dogs are welcome. Please contact us for more information. Take a 15 min. walk through the tranquility of the dunes to the beach!